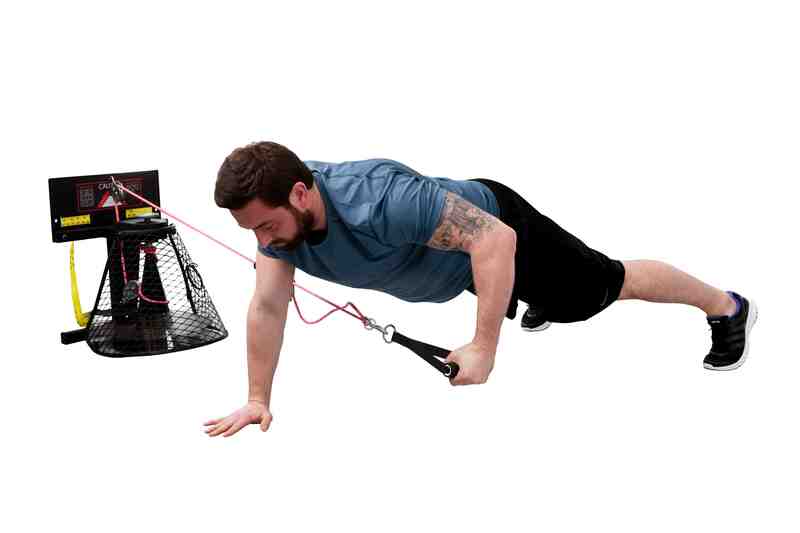 Lightweight and compact, the Versapulley Portable makes it even easier to improve your strength and conditioning. The kit weighs just over 27kg’s, making it ideal for travelling and training sessions at sports clubs with other people. 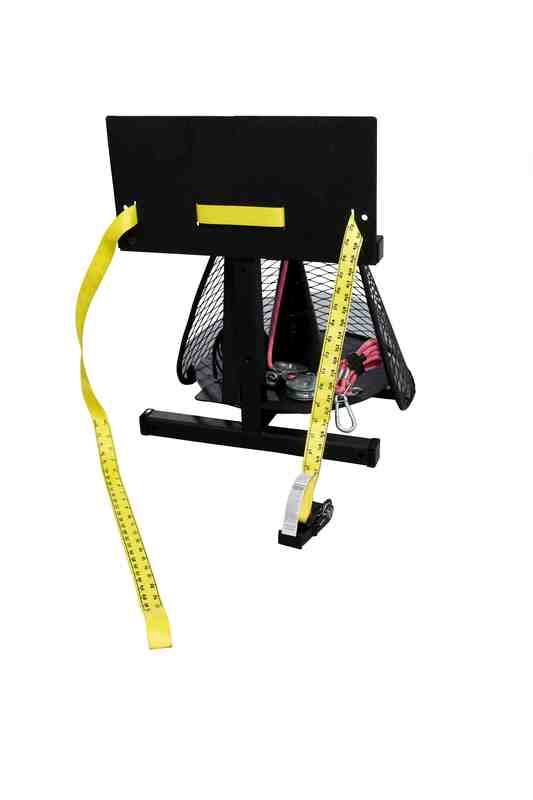 Despite its light weight, the Versapulley Portable can produce up to 400lbs of explosive force resistance. Like the market-leading standard Versapulley, it is a weightless exercise machine, offering a versatile strength and conditioning workout, limited only by the user’s imagination. 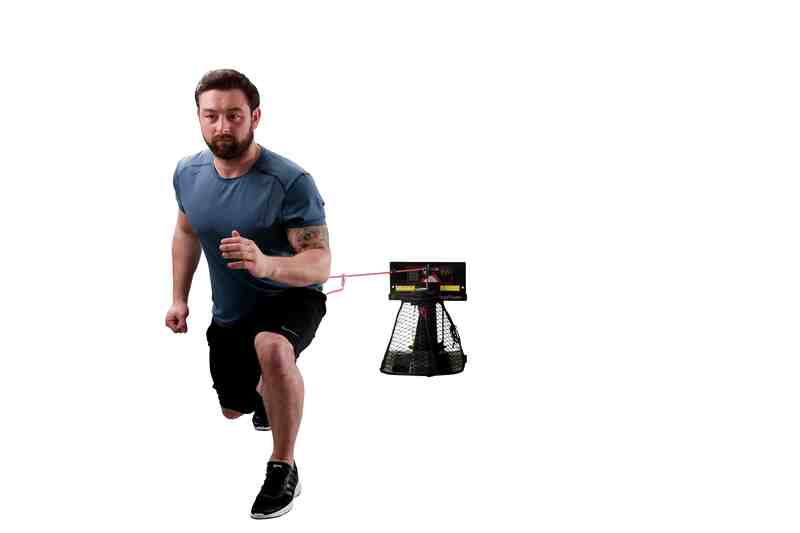 Pulling the rope away from the machine, using one of a series of handle or belt attachments, triggers resistance – which builds strength and conditions muscle in the user. The harder you pull the rope, the harder the machine pulls it back. 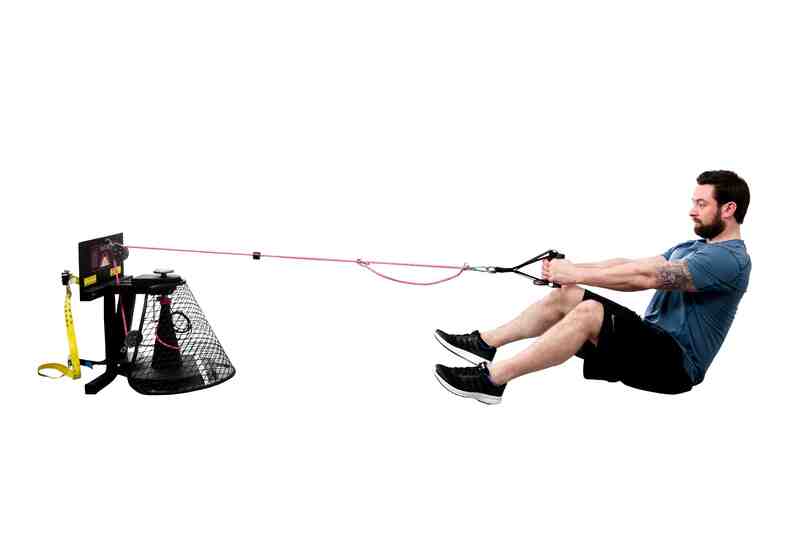 When the rope retracts, additional muscle groups are worked, making the exercise twice as efficient. The functional form of exercise performed on the VersaPulley can increase joint stability and the neuromuscular involvement required in sports and everyday activities. The more integrated and related the movement, the more likelihood for improving performance and preventing injury. Take the Versapulley Portable almost everywhere, from the beach to the rugby club. Quickly and simply secure using the adjustable straps and you have the ideal training partner.